This morning Davey asked me what he dressed up as on his very first Halloween. I was able to easily remember that one. We dressed him in an orange body suit type thing that had a monster guy on the front. Then he wanted to know what he was the next year. I wasn’t quite sure! I was thinking Superman, but then I was afraid that I was getting my years mixed up. 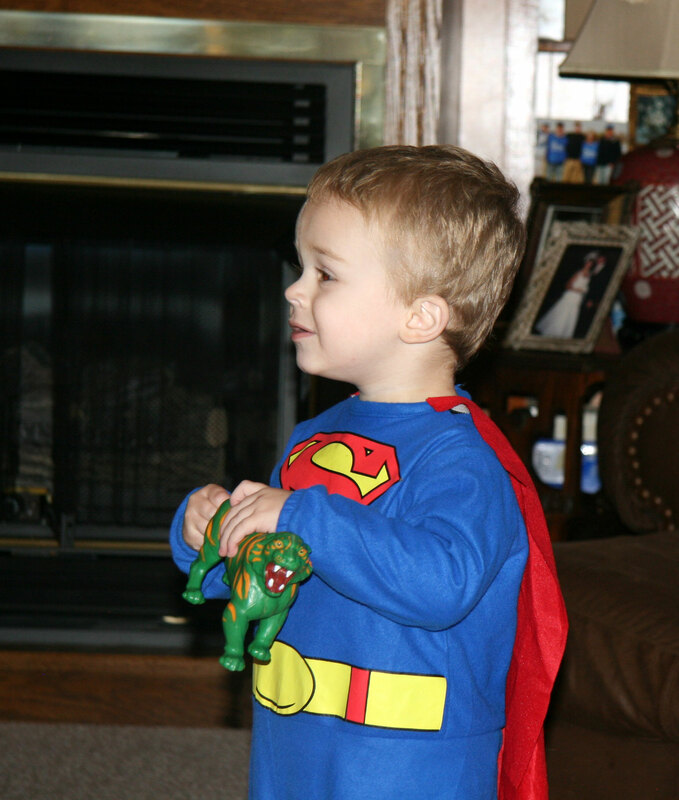 Sure enough though, he was Superman (David knew right away when I asked him). This was the first year he trick or treated. I had to go back to my blog to remind myself that after that he was Spiderman, Captain America, a Jedi, and Robin. Thank goodness for my blog. 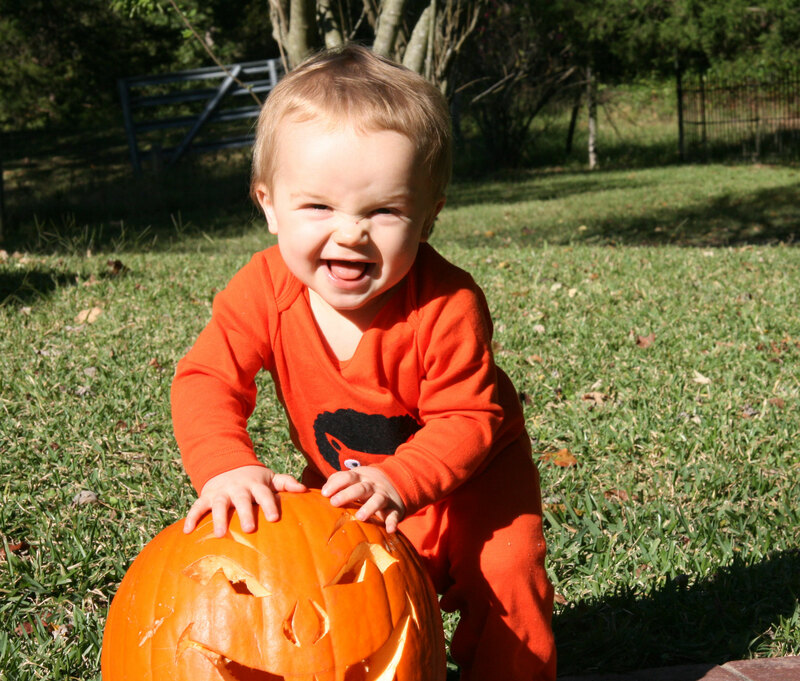 All that to say, I figured I’d better blog about Halloween 2014! This year he was Harry Potter. 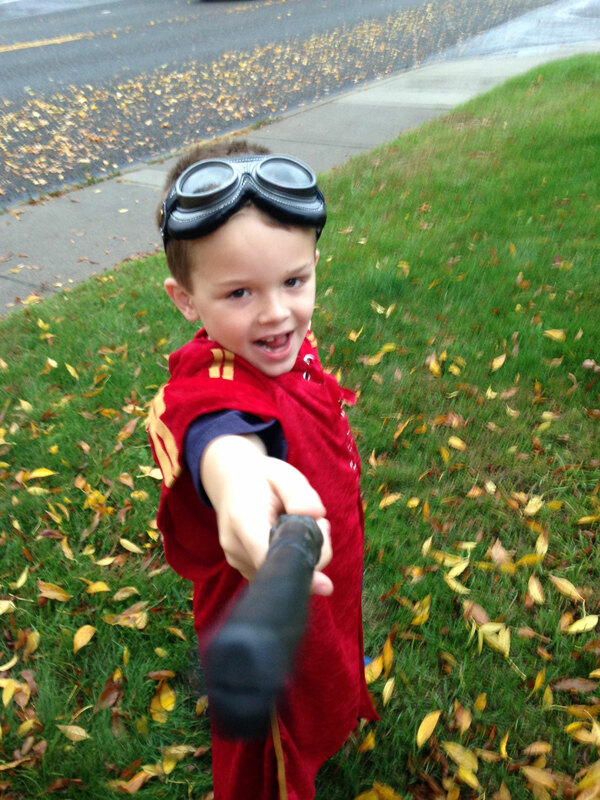 His aunt and uncle had sent this Quidditch robe earlier in the year. He has had a lot of fun with it. 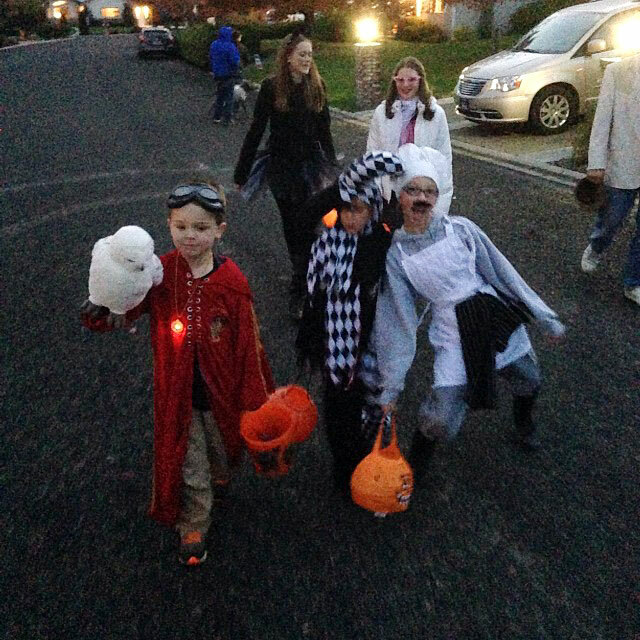 They also sent Hedwig the owl who accompanied Davey on his trick or treating. Not a great picture but I love how he carried Hedwig along. He had a great evening trick or treating with friends from the art department. I feel much better to have Halloween up this point all straight in my head!